I'm writing this week's post from Atlantic Beach, NC, where my son Dash and I are spending the week visiting with my parents and my brother. It's almost squarely the middle of our trip as I'm beginning this post, and it's been a fine, fun week already—and fine and fun also describe nicely the beach reading I brought down with me. 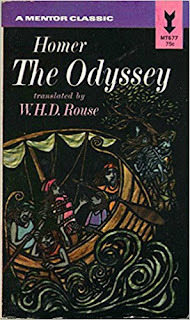 While most of my reading throughout the years relates to work of some kind or another—texts on my syllabi, a book I'm slated to review, readings for an anthology I'm helping edit or a contest I'm helping judge—I do try to balance out those stories or books with a few solely for pleasure. 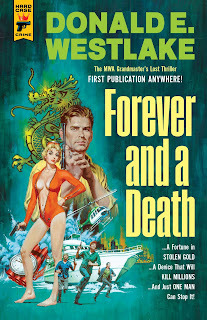 For our getaway this week, I packed Forever and a Death by the late Donald Westlake. 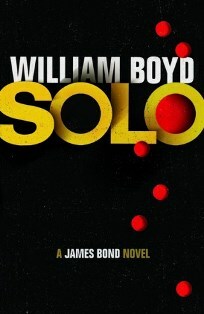 The book began as a film treatment by Westlake, who was asked to contribute a story to the James Bond film franchise—but when elements of the book proved too political for the filmmakers, the film itself was never made, and Westlake wrote a novel instead, one never released during the author's lifetime. Hard Case Crime finally published the book just last week—the third of Westlake's previously unpublished works to be released by Hard Case since the author's death. Donald Westlake and James Bond?!?! As a fan not only of Westlake's writing but also of the Bond series in both books and film, how could I resist? I snapped it up immediately. So it was with some mix of both nostalgia and anticipation that I opened up the new Westlake—and found myself immersed immediately in what seemed familiar terrain: a powerful, wealthy villain in the first stages of a diabolical plan that would ultimately prove catastrophic for millions of people. 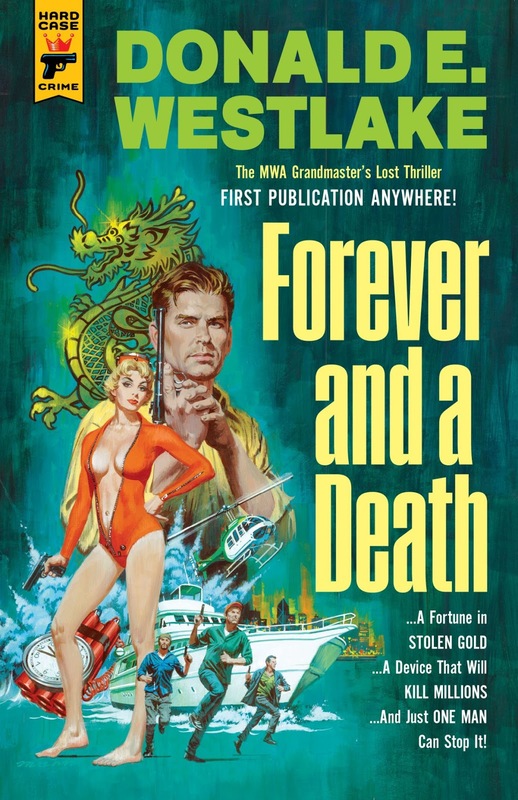 Between Westlake's deft prose, the short chapters cross-cutting between several characters' perspectives, and cliffhangers at every turn, Forever and a Death has proven a joy from the start—and yes, the perfect beach read, even without the fact that so much of the novel's thrilling opening section takes place on the water. And yet, more than 200 pages into it as I write this post, one perhaps key element of a James Bond novel seems missing—namely, James Bond himself. Having read only small bits of advance press on Forever and a Death—more about its backstory than the story itself—I'll admit that I did expect some Bond-like figure here in one form or another. Maybe not Bond by name, of course, and who knew whether the character would be more Connery or more Craig or more Moore? But certainly he would be a secret agent of some kind, missioned and skilled and licensed to kill, right? Whatever those expectations, however, my enthusiasm for the book hasn't waned a bit, even as Bond himself has failed to show up. 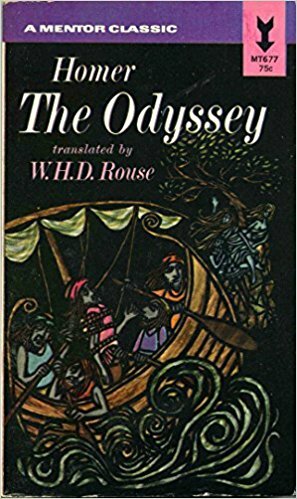 On the contrary, I'm actually finding myself intrigued in fresh ways by that central character's absence—imagining the process by which Westlake must have reworked this story from the original film treatment, the decisions he must have made in translating that original story into this new one. I understand that there's an afterword here by a producer from the Bond franchise, and I've hesitated so far looking at it for fear of plot spoilers. But I'm hoping that the essay will offer some glimpses at the original treatment and some insights into how it became this. In the meantime, though, I'm just enjoying the ride. I know many of my fellow SleuthSayers are devoted Bond fans too from previous posts here—so how about a quick question: What's your favorite Bond book not written by Ian Fleming? From what I'd read myself (see exceptions above), I'll vote William Boyd's Solo, and my review at the Washington Post detailed the reasons why. Your choice?